If ever there was an internationally renowned D.J. with a prolific pedigree it is Leomeo, a well established talent who, from his base in Paris, has touched virtually every continent in the world, destinations including Montreal, New York, Sydney, Shanghai, Istanbul, Rome, London & many in between. With roots firmly in Asia, but with Europe being his first real playground, making Paris his home saw his early steps in D.J. 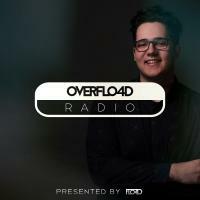 'ing inspired & encouraged by his then mentor, Claude Challe of Buddha Bar fame, a young Leomeo evolving quickly from lounge & chill-out to more mainstream house, with residencies across Paris and guest appearances across the globe quickly following. Leomeo's influences have a true tribal feel, yet with tech tones, vocal injections & progressive beats, means he has an amazing ability to adapt to a wide range of clubbing brands & concepts, as well as keeping his audiences entertained throughout his live performances. This makes Leomeo one of the busiest D.J. 's on the worldwide clubbing circuit & scene to this day. And it doesn't stop there, as Leomeo has chalked up an impressive collection of studio works and remains continually active & creative with projects involving both recording partners & other leading producers. With a dynamic discography including solo tracks and remix works, he has amassed a comprehensive collection of compilations, now close on treble figures and with equally impressive download statistics. Ranging from tribal tunes to dance devotions and back again, Leomeo's recording's are as prolific as his live performances, recent solo releases "The Sound Of C" & "Give Me Love" snapped up by a handful of artists for remix productions. Boosting a successful international D.J. career that spans well over two decades, Léoméo has recently devoted much of his time & focus to music production, reflected in singles "The Bomb", "Do U Feel It" in 2013 “Be Famous", "Glory Days" & "Oulala".. 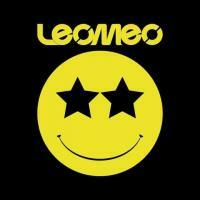 In 2015 "Muscles", "Lucky Star", "Wires".. world renowned producing artists such as Lissat & Voltaxx, Rober Gaez, Hoxton Whores & Jason Chance adding their own remixes to Leomeo’s original releases. However, as rewarding his production work is, Leomeo has found that the toughest challenge has been to be recognized in his own country of France, but having been approached by the stars of the French music scene including Julien Doré and Adrien Gallo to work on their singles, then having had his work signed to Sony Music & Warner Music, remixes of "Paris-Seychelles", “Chou Wasabi "and" Monokini" in particular. As a result of this recognition, not only are many of his own singles destined for further production from renowned professional musicians, but his remixes of Julien Doré’s works have been playlisted on French national radio stations. However, D.J.’ing remains Leomeo’s core activity, extending to gigs in clubs across the globe, music festivals, fashion shows, luxury hotels & exclusive events, while he also currently holds residences in Paris, Cologne, Rome & Sydney. True to his passion and driven by a deep desire to communicate, Léoméo continues to travel the world to reach new audiences armed only with his turntables and his killer smile. And, as a result, thousands dancers fall under the spell of his eclectic & energetic sets which have their roots in house, tribal sounds, tech and electro punctuated sublime forays into progressive beats.